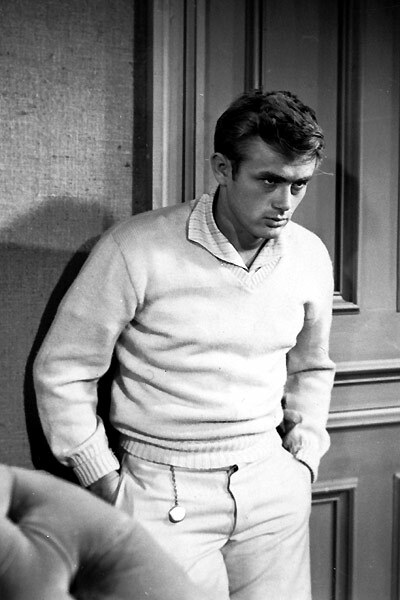 It’s difficult to pinpoint what it was about James Dean that made him such a style icon. Much of it had to do with the era he was a star. 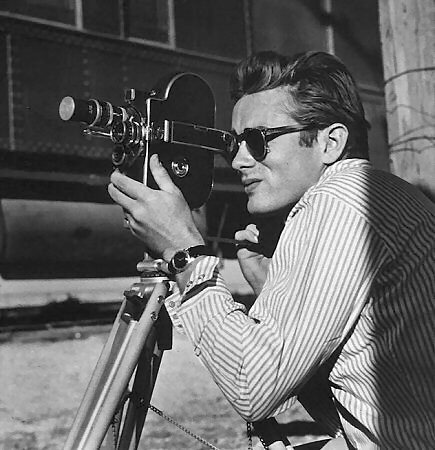 Leading up to the mid 1950’s Hollywood actors were well groomed, straight laced men predominantly seen wearing tuxedo’s at gala openings, or tucked in shirts and tennis shorts on summer holidays by the beach. 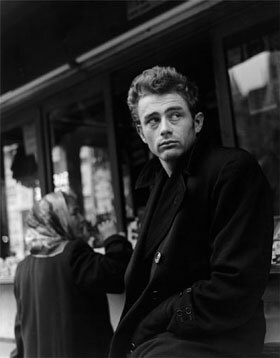 James Dean dared to look rugged, often photographed drawing on a cigarette in a casual shirt with rolled up sleeves, or wearing a coat in the rain. 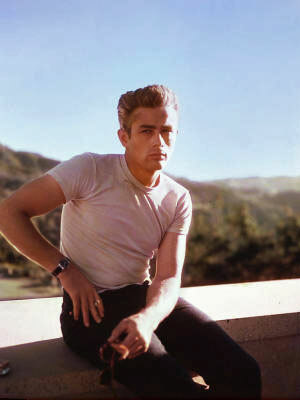 He never feared looking rough, but his style was never sloppy. Whether posing beside his much loved Porsche in a white t shirt and trousers, or looking more dapper in a pair of chinos and a V-neck sweater, he always achieved the casual, cool look with laid back ease.